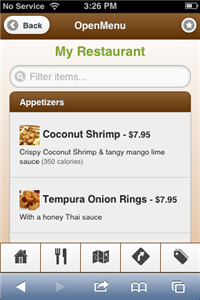 Today we’re releasing an update to the free mobile website we give all restaurants. 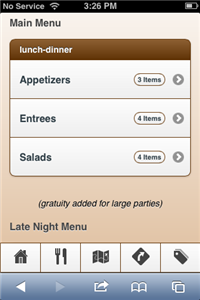 This update is a design overhaul which makes the mobile site easier to navigate, better to look at it and provides access to even more information from a restaurant’s menu. 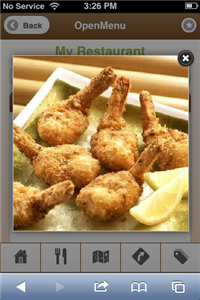 Check out the sample: http://openmenu.com/m/restaurant/sample and get started with your restaurant now by joining OpenMenu. 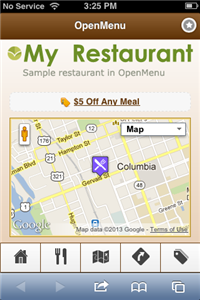 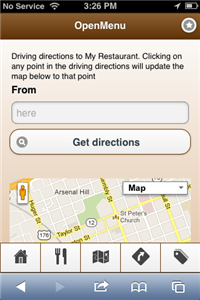 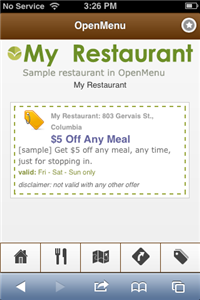 Restaurants get your free mobile site now by becoming part of OpenMenu.